I think you can guess what PB&C stands for, but just in case – it’s a chocolate cupcake with peanut butter frosting. Oh, and there are Reese’s Pieces in the cake! 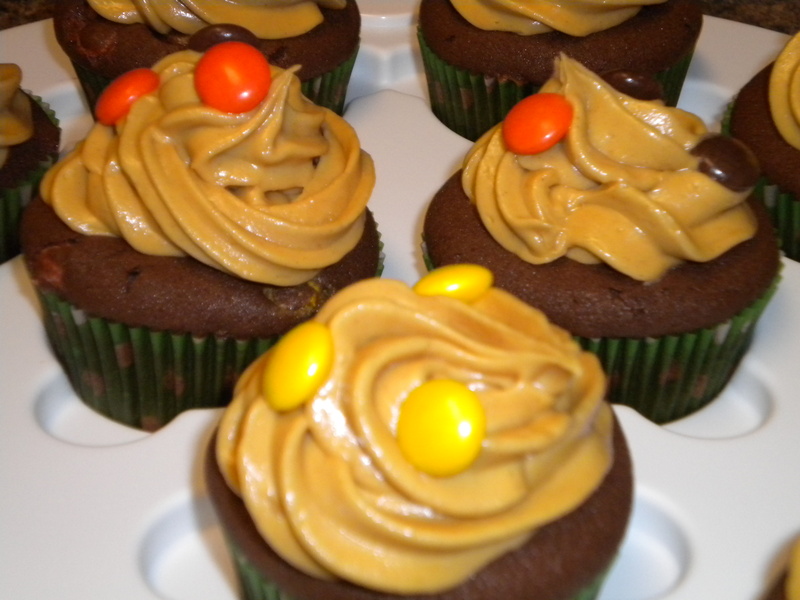 I wanted to make a cupcake with Reese’s Pieces because I LOVE them. 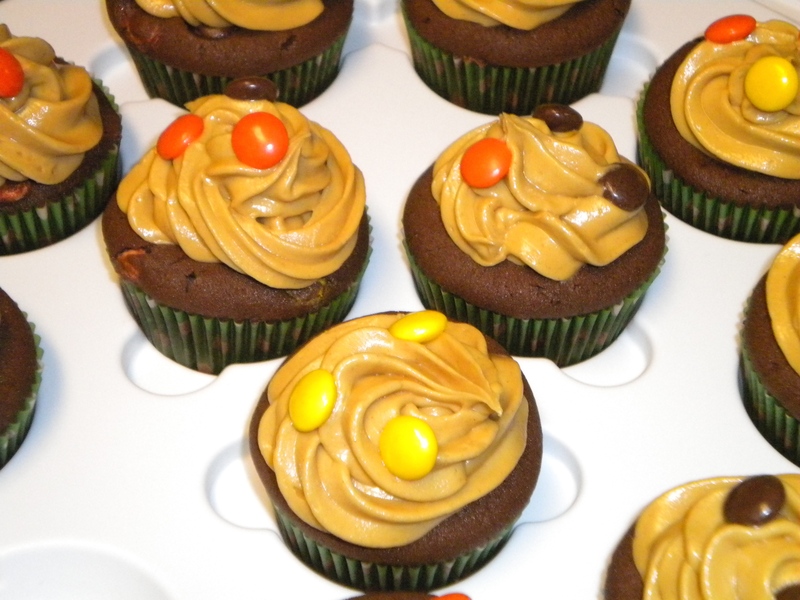 When I looked up recipes, there are tons of recipes made with peanut butter cups, and some recipes that have you putting pieces on top, but I didn’t see any recipes with pieces inside the cupcake. So then I really had to do it! This is version 2 of the cupcake. In the first iteration, all the pieces sank to the bottom and stuck to the wrapper. I also found a different recipe for peanut butter icing that I liked way better, and fortunately my test group (my husband’s coworkers) agreed! And here’s the big news – these cupcakes got me another paid order! I’ll be making a batch of these this Thursday to deliver on Friday. If you live in the Raleigh area and want to try these (or any others! ), let me know!